SUTHERLAND SPRINGS, Texas-11/10/17 – Communists and the Democratic Party are one and the same. We have Communists in virtually every area of the government of The United States. It strains credulity as to how they were able to get into those positions. Simple – now that you've wondered – they had inside help....from our own countrymen. It was known from the beginning that Communists saw Christians and the church as a foe they had to abolish since a Christian's mind cannot be enslaved. So in the beginning, Lennon and Stalin began closing churches to get them out of sight proclaiming that Christianity is the opium of the masses and this sabotages their usefulness to the Party. There was a time that others only spoke of Communists in hushed terms. They maintained a quiet profile as they were multiplying. They became school teachers and occupied any position where minds could be molded. The movies began very slowly slipping Communist doctrine into movies with brief roles where they came off as good decent folk. Their presence on the big screen became more prominent. Communism came out in the open during the Obama election fraud. Feeling bolder now, the Reds openly let it be known that Obama was sponsored by the Communist Party USA (CPUSA). During the time when George Soros was staging riots under the banner, Black Lives Matter, this writer keenly observed the professionally printed protest signs which showed clearly at the bottom of each sign, "Communist Party USA." The purpose of this was to agitate, divide the races cause fights in the streets and block major intersections to weaken both sides making it easier to take the helm of both sides. The staged race riots is a war that can never be won by either side. That is the point. It is a Soros ploy that will effectively weaken BOTH sides, making them totally controllable by the Soros Communist Democrat Cartel. By this time, the Democrats who had sold their souls to the devil,began to sabotage churches from the inside, going in as new members, then stirring up dissension among the attendees. Leaders were PLACED in pastoral positions. This is why so many churches have gone downhill as distrust of churches, clergy, and even Christians in general have reached the breaking point by good people who simply wanted to worship God and live according to His standards, but they were let down by the conduct of their leaders who began watering down The Gospel. Soros made his first fortune when he was 19 by betraying the Jews--his own people – in Hungary, his home country, by leading the Nazi storm troopers to Jewish homes and showing them where they kept their wealth. He received a healthy commission for all the wealth he led the Nazis to. Betrayals even to one's own family and countrymen means nothing to Soros nor to any other Communist. Soros is the one who put Pope Francis on the throne who was Jorge Mario Bergoglio from Argentina, a Communist country. This was carefully contrived. I have some knowledge of what goes on in the Vatican. I had never heard of this man who would be named 'Pope Francis, nor did I know anything about him being in the College of Cardinals. Suddenly he was paraded into the main room where he was crowned as Pope. In the very first address he made from the balcony he declared that he planned to "re-distribute the wealth." How's that again? That is right out of the book of Marx, the Communist Manifesto. He reiterated that the next day stating, now get this, 'that being wealthy is a sin.' 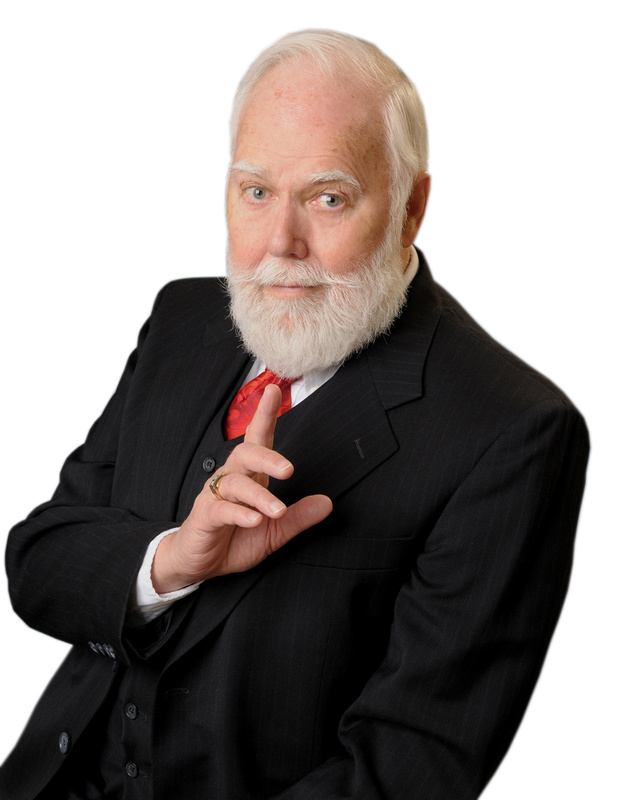 I received an urgent call from a woman in Pittsburgh who was somewhat wealthy and she was in a panic thinking she was going to hell for being rich. Under Obama, the democrats did all they could to publicly undermine Christianity, stating that it was a dangerous doctrine, racist, and harmful to all, especially the children. The attacks on Christianity became bolder as they began to forbid the word, Christmas, to be used in seasonal school plays, or even displaying a cross in public. Hate speech and ridicule became hurled toward Christians and the church itself. 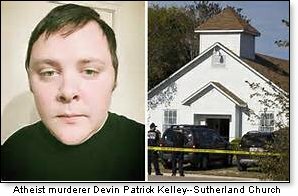 Then, this past Sunday the subdued hostility toward Christians became full- fledged warfare as the 1st Baptist Church in the small town of Sutherland Springs, Texas became the scene of a merciless massacre of more than half of the church members, being shot to death by a misfit militant atheist named Devin Patrick Kelley, who received a dishonorable discharge from military service, escaped from a mental hospital and it has now been reported that he has sexually assaulted little girls. Should be no surprise there. Even worse, Kelley's Democrat mentors had steered him totally away from God and Church, which was and is their very intention – to keep God out of society. This is natural in a Communist- Democrat party. So it is the Democrats who are totally to blame for the church massacre in Texas. Yes, that blood is on YOUR filthy hands as will be noted in Ezekiel 3:18. And since your entire party appears to be anti-God and claim there is no God, you will all learn in the end that there very much IS a God, and a devil who will gladly toss you into the lake of fire. They are the ones who agitated this mentally ill kid to the point of shooting any Christians he could find, even those in prayer at a church with many women, expectant mothers and little children who were brutally killed in a sacred place where God is worshiped. Twenty Six innocent people were murdered while 20 more still fight for their lives in the hospital. What else can be expected when the Democrats denounce God, ridicule God and mock his rules for morality and discouraging anyone, like that young church killer, from following God. And why is George Soros and the Communists so frantic about taking out the U.S.? Because the ONLY country standing in the way of the complete New World Order is The United States of America where there are overwhelming numbers of Committed Christian and their churches that dot the landscape from sea to shining sea. Yet the Dems regurgitate that banning Muslims is....discrimination against a religion. How's that again? When they get here they demand "constitutional rights." Really? Meanwhile Demoncrats – yes, YOU – remember the Scriptures above. Every leftist who has blocked anyone from following God, WILL face God and the lake of fire. The murder of those 26 Christians while in church, with 20 more severely wounded in the hospitals would never have happened had it not been for the Democratic Party discouraging this young man (and everybody else) from giving his heart to God which could have prevented this horror. Yes leftist Communist Democrats, the blood is on YOUR hands. YOU ARE TOTALLY RESPONSIBLE. The future before all of you will be total terror. At that time you will know for sure that God is real. But then, don't forget this, it will be too late.